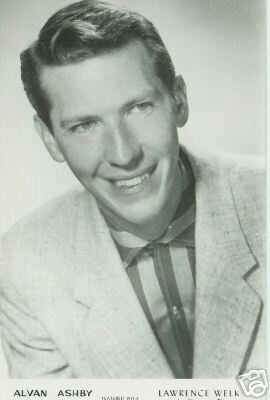 Alvan Ashby was a baritone singer on the Lawrence Welk Show from 1957 to 1959. He was born and raised in Evansville, Indiana in May 1924. After graduating from high school in 1942, he was drafted into the Army and served until 1946. In 1959, he was the victim of identity theft by the brother of another Lawrence Welk show performer, Maurice Pearson. After taking a leave of absence from the show, Ashby never returned. Ashby passed away in July 1981.